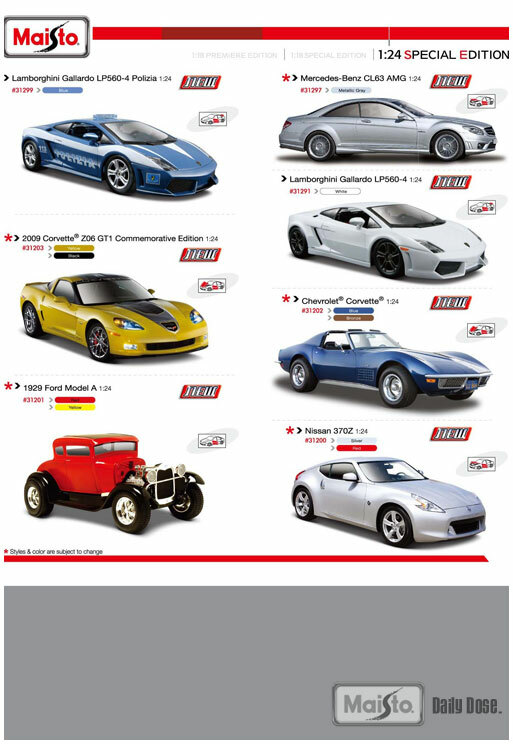 We’ve reached the beginning of a new week and today we’re taking a quick look at our 1/32nd scale Maisto Design: Gaming Series, which for you Sony fans currently holds a few of the vehicles from the Vision Gran Turismo line-up, specifically designed for the Gran Turismo video game! So far, we have the Nissan Concept 2020 Vision Gran Tursimo in simply Red, as well as the Mercedes-Benz AMG Vision Gran Turismo in Silver and Metallic Red, both consisting of a die-cast metal chassis with plastic parts bringing out the attention-getting finishes of these best of the best exotic cars! In order to find them on your local retailer’s store shelves, be sure to keep an eye out for our Maisto Design: Gaming Series packaging seen both above and down below! We’re opening up the week with a quick look at a model from our 1/24th scale Maisto Design: Authority line-up, the 2009 Nissan GT-R (R35)! That’s right, the Nissan GT-R joins the ranks of the officer sporting Black and White colors, police badging, aftermarket wheels and tires, a custom engine, and features a set of opening doors as well as an opening hood! 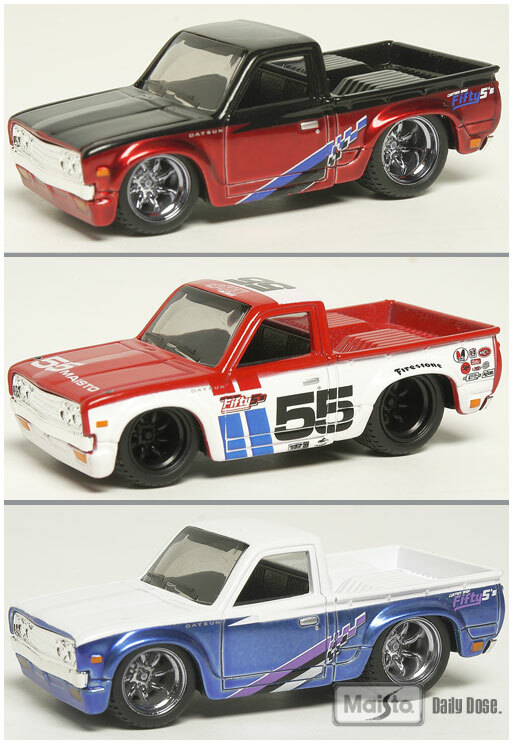 In order to find it or any of our other 1/24th scale die-cast Authority models, be sure to look for our custom Maisto Design packaging seen above, color-coded Blue and labeled AUTHORITY! Watch the slideshow and get a close up view. For 2010 we will be introducing a new line to the Maisto stables. The 1/55 Custom Shop Fifty 5’s. There will be a total of 6 vehicles in this first release. 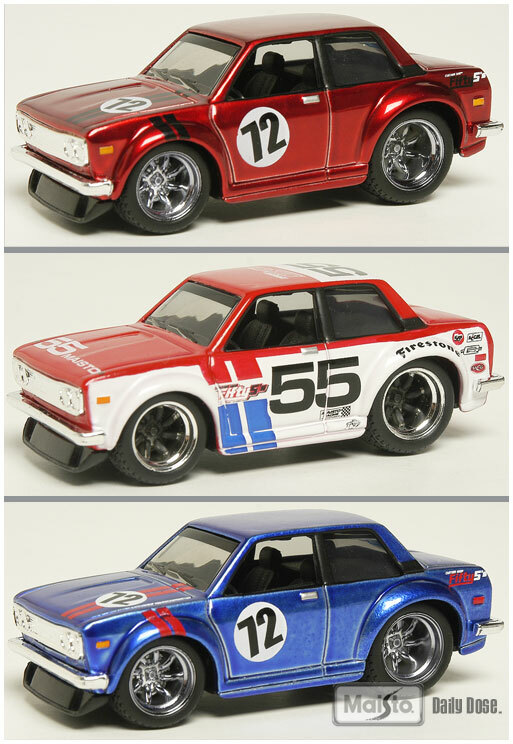 Viewed in this line-up is the 2009 Nissan 370Z, 1972 Datsun 510 and the 1975 Datsun 620. The other 3 (not pictured) will be the new Scion xB, the 2008 Mitsubishi Lancer Evo and the 1995 Toyota SR5. It will be displayed in a full-color blister card available for the U.S. and Europe. You will find this NEW HOT item in our 2010 catalog under the 25016 item number. 1975 Datsun 620 "Li'l Hustler"
In addition to the 370Z mentioned below, here are our new 1:24 cars for 2010. 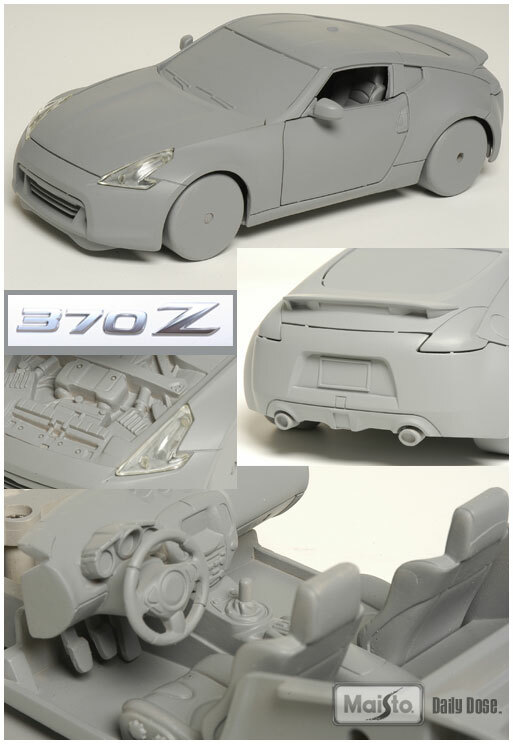 Here are photos of our tooling model for the upcoming 1:24 Nissan 370Z, stock #31200. Of course, in production the windows will be clear and the wheels and tires will have authentic shapes and colors. This resin model is used to verify the shapes of the parts before the molds are made for the die-cast model. Progress has slowed quite a bit in our step-by-step series following the Maisto 1:24 die-cast from start to finish. 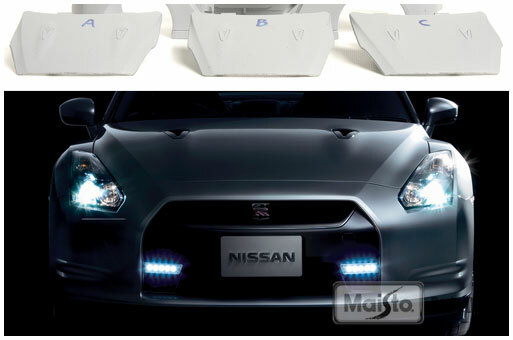 Although we had submitted painted pre-production samples to the licensor (see earlier post), Nissan still wasn’t able to approve the subtle shapes on the hood around the air ducts. So, we’ve made three versions of the hood to see if we could get one of them approved. We’ve also revised the rear license plate area (not shown here) to delete the raised area around the plate. 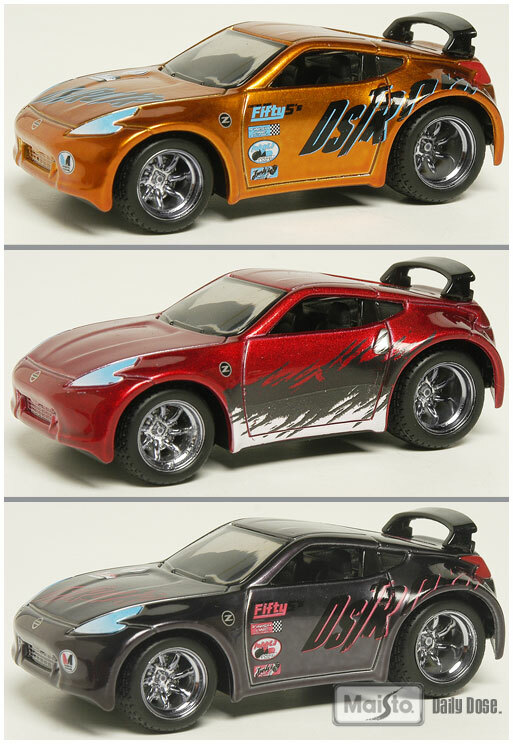 We’ve heard that a lot of other model companies have had trouble getting the hood shape just right, too. It’s a subjective process to get the shapes to look correct because Nissan would not release CAD data files. We hope to have good news soon.